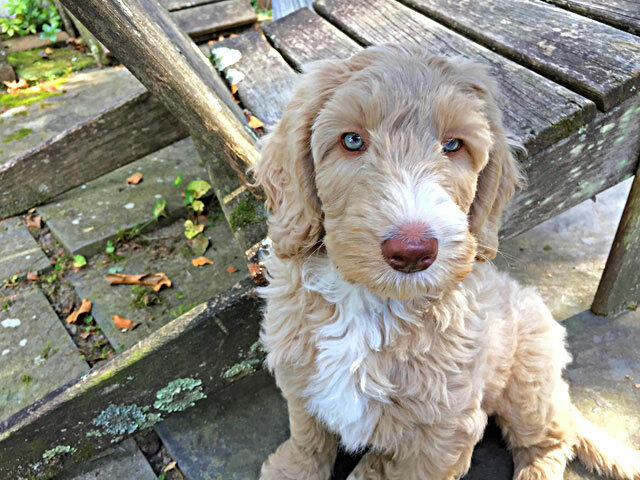 Our second dog, Jennie Charlotte, weighed about 11 pounds when she came home from her breeder two weeks ago. Now she’s gaining a pound a week and more than enough confidence. She joins her half-brother Barney, who just turned four. He’s as reserved, dutiful and gentle as she is super-busy. Jennie is alternately nippy, affectionate and asleep. 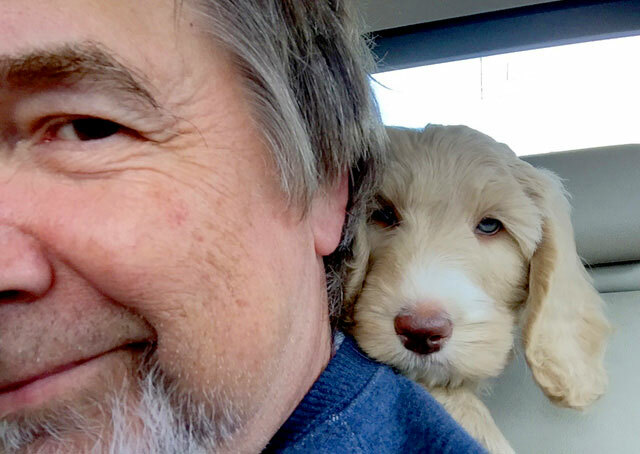 Optional spiel: Both dogs are multigenerational Australian Labradoodles, a relatively new breed developed Down Under as a service dog for people allergic to most dogs. 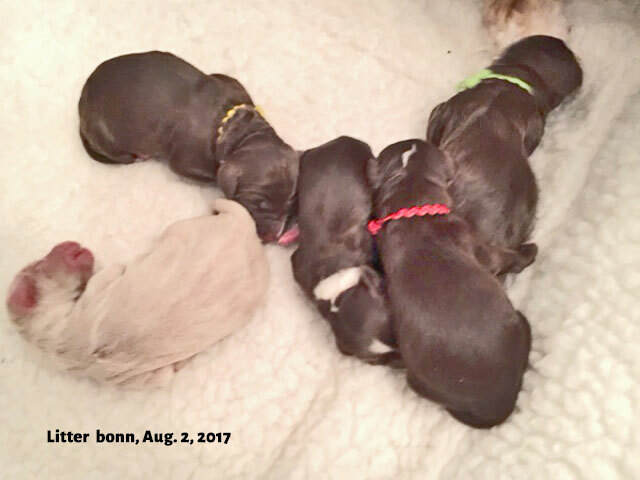 When bred over many generations, this mix routinely comes out hypoallergenic and nonshedding like poodles and sweet-natured like retrievers, with a squirt of cocker spaniel DNA added for a lustrous coat. Jennie and Barney share a low-key father, Schoggi. 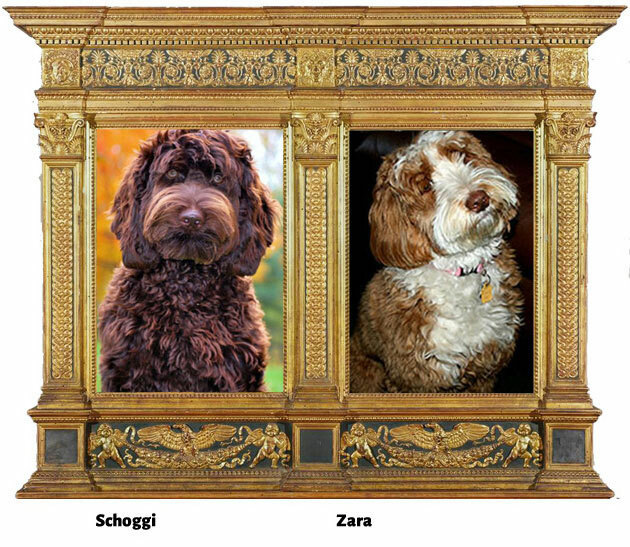 Her mother at Windsor Creek Labradoodles in southeast Pennsylvania is Zara. She came to D.C. Oct. 5, 2017, riding part way on my shoulders. 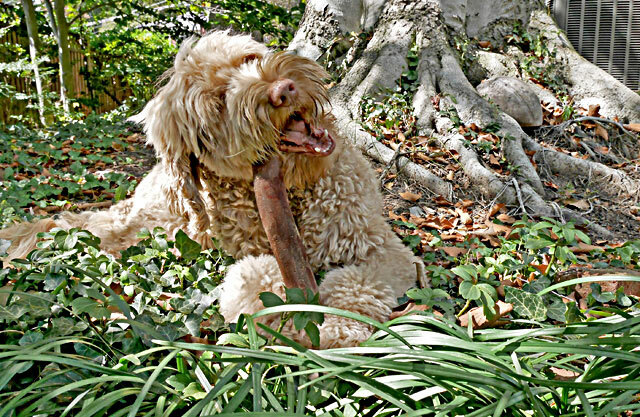 Though Barney has grumbled and growled at Jennie’s incursions, he made sure to show her his big chewing stick (below) in hopes that she’ll chase him. 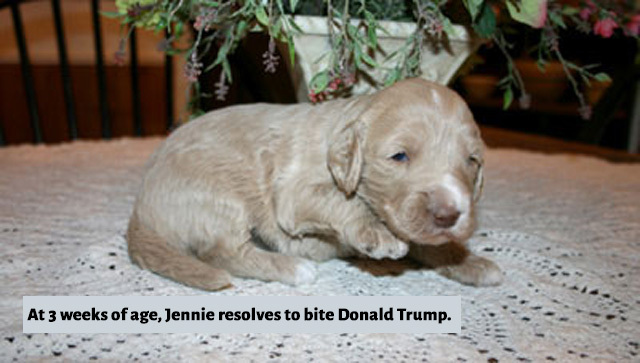 Jennie may be smarter than her big brother, or at least more adept at applying her skills to meet her objectives, vision and mission. She understood immediately that the side door and back door of our house go to the same place — i.e., outdoors. Barney figured that out months later and still enjoys using both for round-trips, when possible. 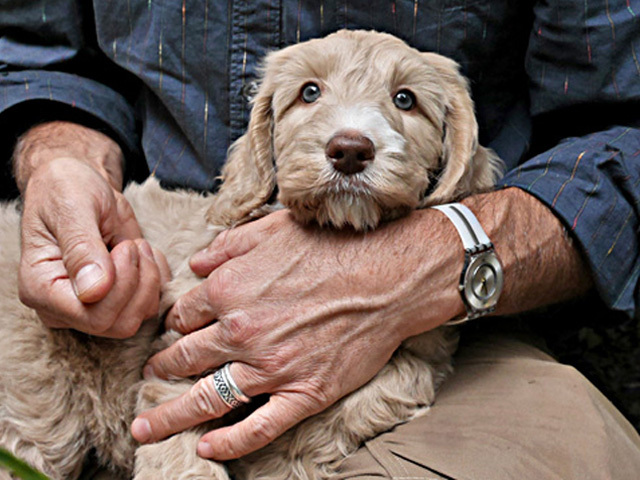 In their puppy days, the Paul Newman eyes (below) are temporary. Jennie’s eyes are turning gold. Barney’s first year with us.